Humpback whales are seen off Coral Bay between June and October. During June and July the animals are to be seen as they migrate north. Later, in October, the mothers and their calves can be seen outside the Ningaloo reef as they proceed south. around the world. 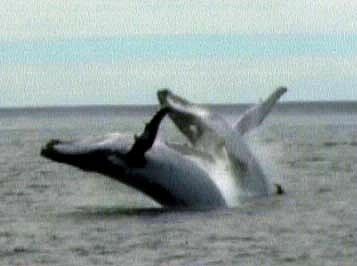 No two Humpback whales are exactly alike. extending to 3m (10ft) in height.